Lincoln A. Mitchell on the past, present and future of big league baseball. Big league baseball is in a good place right now. Ticket sales are strong, television revenue is enormous, and the quality of play is at an all-time high. On the other hand, one can’t assume that the current state of affairs will continue indefinitely. Major league baseball’s audience is aging, TV ratings have been in decline, and fewer young people are playing baseball compared to just two or three generations ago. 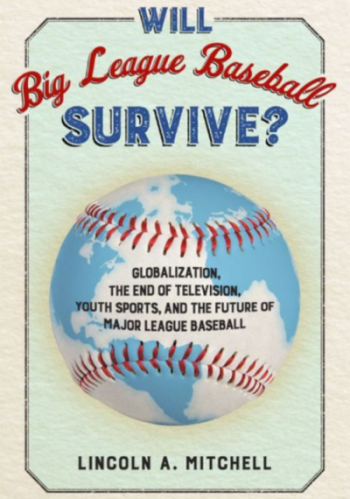 With all of the above in mind, writer and political pundit Lincoln A. Mitchell recently wrote a book-length analysis of the state of the game, asking whether big league baseball will survive (as we know it), for more than another 10 or 15 years. And more specifically, whether it will continue to offer a monopoly on the best baseball played anywhere in the world. Most notably, perhaps, “Will Big League Baseball Survive?” presents a handful of different scenarios that reflect what major league baseball (MLB) might look like a few decades down the road. In the following Failure interview, Mitchell discusses a few of these scenarios, as well as several options for growing the game and making it more appealing to people from other countries and cultures. The idea that baseball may not survive as we know it has been around a long time. 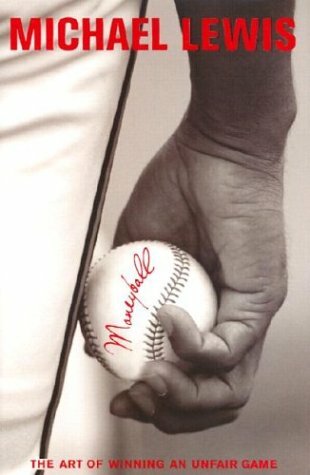 What’s different about your book compared to the articles we commonly see that tell us baseball is dying? The central theme of many of those arguments is that baseball is boring; either the games are too long or the players make too much money. My book is a more serious and analytical look at the economic, social, media and cultural factors that have made baseball what it is today, but will also challenge MLB going forward. It’s not an argument that baseball is boring and that soccer will take over. The casual fan might expect that you focus on the economics of the game. But that’s only a small part of the story, isn’t it? The economics are important but there are many more pieces to it. For example, the youth baseball issue. More than other sports, it’s difficult to be a baseball fan if you didn’t play baseball as a kid because the game is so complicated and so different from other sports. And fewer kids are playing baseball—for a lot of reasons that have to do with changes in the culture—so younger people aren’t coming to baseball like they did two or three generations ago. But the book is also about globalization, which is related to the economy but not the same thing. We take it for granted that the absolute best players in the world are playing in the U.S. or want to play in the U.S. For many years that wasn’t true. Between Masanori Murakami—who pitched parts of two seasons with the Giants in 1964 and ’65 as a left-handed setup man—until Hideo Nomo 30 years later, there were no Japanese players in the major leagues. There were many Japanese players who could have played in our league but didn’t, because globalization was different back then. The assumption that we will continue to get the best players in the world to play on 29 American teams and one Canadian team—that idea rests on assumptions about globalization, about strength of relative economies, and about relationships between countries that may not hold 20 years from now. The decline in the amount of sandlot baseball being played seems an ominous development. I think you’re right, there is something to the notion that you need to have played baseball—both casually and in an organized league—to truly appreciate the game. A couple years ago, my younger son asked me if I played as much baseball as he did when I was his age. He had played 80 games that year where the kids were in uniform and there were adult coaches and umpires. When I was 11, I might have played 12 games that fit that description. But as far as hours playing baseball it was about equal. Part of it is a different approach to parenting, but part of it is the way society has changed. First, there are more structured [opportunities] to play baseball. Second, there is more parental involvement than there used to be. Third, not every kid plays every sport. In the old days, the best soccer player would be playing baseball in the spring but is now in a spring soccer league or training for soccer. And there is now fall baseball so the baseball player isn’t playing soccer or football in the fall. That’s not good for your development; most people will say you should not play only one sport until you are high school age. The other piece of this is that the middle of the “skills” bell curve disappears. 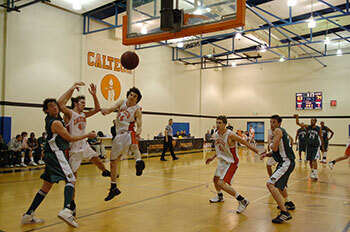 If you look at a middle school game in America today you see kids who are very good and other kids who are there because their parents want them to get outside or lose weight, but the middle of that bell curve is gone because those are the kids who are specializing in basketball or soccer or some other sport. That makes the game less enjoyable because if you are one of the good kids it’s fun, but if you are one of the weaker kids your weaknesses are highlighted. The other thing is there are things you learn on the sandlot. For example, growing up we could never get nine on a team. So you’d say, “We are going to shut down left field; a hit to left field is a foul ball.” You had to learn to adapt and learn how to have fun in that situation, and not to storm off when there was a close play at first and there’s no umpire. When the sandlot disappears all of those things disappear, which is not exactly baseball related but it is part of the picture. One thing that is striking is how paltry attendance figures were 30 or 40 years ago, but television ratings were stronger back then. Why do you say that declining viewership may be an early warning sign that the baseball economy is not as strong as might first appear? Let me take a longer arc answer to that question. One of the greatest moments in baseball history is Bobby Thomson’s home run in 1951 in a special playoff between the Dodgers and the Giants—the most intense rivalry in professional sports at that time. The Dodgers were leading 4-2 in the bottom of the ninth with two men on and Bobby Thomson hit a three-run home run—what we now call a walk-off—to win the pennant for the Giants. Any baseball fan has seen the clip a hundred times. But the Polo Grounds was only two-thirds full; there were about 18,000 empty seats in the ballpark. And the game was highly anticipated. The loser went home and the winner went to the World Series. For much of MLB history, baseball had a bigger role in the culture but it was a smaller industry than it is today. When I wrote the book I drew on game seven of the 2014 World Series, a great game between two medium market teams that drew fewer viewers than the  Women’s World Cup Final [which featured the U.S. National Team]. In the 1970s, something like one-quarter or one-third of the population would watch a game seven of the World Series. We don’t approach those numbers today. Teams do sell more tickets today, and this is important. As late as the early 1990s there were talks of contracting; many teams in the 1970s were rumored to be moving and cities were desperate to find ways to hold onto them. And baseball did a good job in the post-1994 strike era of making itself popular again. But there are cracks there we need to pay attention to. For example, while every game is televised, ratings can be very low. I give a couple of examples in the book where the Nielsen ratings were zero. The other indicator I give is the number of empty seats. A team like the New York Yankees—the ticket sales tell one story, the people going tell another story. Empty seats are an important indicator of what could be something like a bubble. There are a lot of reasons why you might not be able to sell tickets [the team isn’t good, too expensive, etc. ], but when you have empty seats it means the individual [or corporation] who holds the ticket can’t sell it or give it away and that speaks to a lack of interest. The other side of that is that baseball wasn’t always this big. Part of the book argues that we can’t assume that baseball will stay this big. You mentioned women’s soccer and in the book you address how encouraging girls to play baseball would seem to be a no-brainer. Why do you think there hasn’t been more of an effort to encourage that? This puzzles me. Baseball tries to reach out to girls and women in very strange, patronizing ways, often involving the color pink or patronizing T-shirts. I remember after the Giants won the World Series in 2011 they made women’s tank tops and tight fitting T-shirts that said “Can’t hit on this,” which is really not the message you want to send to a seven year old girl who wants to grab a glove and play catch or swing the bat. But many people [simply] assume that boys play baseball and girls play softball. The argument boils down to: this is a rough-hewed man’s game and women are too delicate. That was sexist in 1910, but you could kind of understand that was the time. To make policy on that argument today is extremely sexist. Then you hear the argument that women can’t throw the ball a hundred miles an hour, which is true, but very few men can throw the ball a hundred miles an hour. And you don’t need to do that to pitch in high school, college or even in the major leagues. So changing people’s ideas about that is important—and do-able. Baseball could double its fan base among young people by aggressively promoting programs and leagues for girls. Of course, softball complicates this, because it remains true that scholarships for young women are for softball and there’s a point where it does make financial sense to focus your efforts on softball. On the other hand, it’s a solvable problem. My son is playing Division III baseball this year, which isn’t for future major leaguers—it’s for student-athletes. There are plenty of women who are big and strong enough to play Division III baseball. It seems there are ways to crack this nut that MLB could if it wanted to. Why do you think there are fewer larger-than-life figures in the game of baseball these days? There are a few reasons for this. The larger-than-life baseball figure starts with Babe Ruth, who was the first modern twentieth-century celebrity. It continued with Lou Gehrig and Joe DiMaggio and Jackie Robinson with that era ending with Mickey Mantle and Willie Mays. One reason is that culture changed. The culture of blind hero worship went away; in the book I also talk about the changes in journalism and the changes in expectations, but there is more to it than that. In baseball there are nine players on the field and you don’t see guys as much. Mike Trout only comes up four or five times a game. If LeBron James is playing in a game for the Cavaliers he is going to be the dominant player for the Cavs 85% of the time. That’s not true in baseball; it’s a different kind of individual role. When Joe DiMaggio played a minor role it was discussed as if it was major because that was the story that writers used to tell. On a related note, in the past the character flaws of players were largely hidden from public view; nowadays, not so much. How has this affected the game? Look at Curt Schilling, a borderline Hall of Fame pitcher, and based on his merits on the field, if I had a Hall of Fame vote I would vote for him. But Schilling has damaged himself badly in the voting because of his clownish, right-wing politics and ignorance about issues and insensitivity to various groups. It was easy to hide Babe Ruth from the rumors of syphilis and the womanizing because Babe Ruth never tweeted anything. Today the celebrity culture is such that you have to be more available and accessible and because of that you are much more likely to make a mistake. You’ve also had a handful of high profile players—like Steve Garvey and Pete Rose—who, after their retirement, their public image was very different from when they were playing. And there’s the PED [performance enhancing drug] issue, which ran rampant through baseball celebrity and tarred everybody with a very broad brush. So I wonder if baseball can survive in an environment where every celebrity is more exposed than ever before, and it takes one or two dumb things to become much more polarizing than you would like. And parenthetically, we may or may not be moving toward a society where class resentment is growing stronger. Babe Ruth made about 16 times the average American salary when he was in his prime. The best players now make hundreds of times more [than the average salary]. How can you persuade someone who makes $35,000 per year to root for someone who makes $20 million per year in a culture where attitudes about wealth disparity are getting much more intense? Is there a year you can point to—and maybe it’s 2021, when MLB’s television contract expires—when the economics of the game might start changing in a really significant way? Yes, that’s when I would begin to look. One issue is the TV contract but I would say the window here is 10-15 years out. This structure has probably another decade or so in it. But the path of baseball globalization is something I would look at. As countries like Japan continue to become first-tier baseball countries, they may begin to make demands on the United States in terms of what their relationship is going to be. And as the grandpa demographic dies off there will be a smaller number of baseball fans. In what ways might MLB need to tweak the game to appeal to other countries? The first thing is to stop this white normative language about the “right way to play the game.” Every time I hear a white man saying, “He plays the game the right way,” the racist subtext is hard to miss. And it’s particularly hard to miss if you’re not a middle-aged white guy. I wrote a piece a few years ago about Robinson Canó and Dustin Pedroia, who are two of the league’s great second basemen. I said: I think Canó is better but you could certainly make the argument that Pedroia is better; the numbers look very comparable. But the stories around them are not. [That is], Pedroia is a hard-working guy who plays the game the right way and Canó has talent but doesn’t really put it to use. That is a racist narrative that has been around since [the days of] Jackie Robinson. People from other countries and cultures get turned off by that. Also, in Korea, the bat flip is part of the game, and here if you flip a bat some southern-boy white guy is going to throw at you the next time you are up. We have to be aware that baseball is a multicultural game today, and that is a strength, not a weakness. Anything we can do to expose more American fans to baseball overseas would help. Baseball has adapted best when it has been ahead of the curve. We know, for example, that the next television contract is not likely to be as big as this one. Here is something else that any smart baseball person will tell you: There are no more markets in America to which you can move or start a team. That’s where the international piece comes in. Rather than say a multinational league is impossible because the travel is too far—which is not a real answer—what you can say is: How do we address that problem? How do we get ahead of that? And if baseball does take off in a new, very lucrative market like Brazil or China, how do we commute that to our advantage? Those are questions baseball needs to be asking now. Another thing: How do we think about the sport as a game that may not have enduring mass appeal? Instead of thinking about baseball as having support a mile wide and two inches deep, recognize that it may be ten meters wide but fifty feet deep. What other products can baseball provide? One of them is the great program where for $150 per year you can watch any out of market game on your computer, tablet or phone. Create more products for intense fans that have a little bit of money. Near the end of the book you identify five different scenarios that could unfold for baseball in the not-too-distant-future. In my mind, a smaller baseball industry—or MLB putting teams outside the U.S. and Canada—seem the most likely way that things unfold. Those are probably the most likely, but I wouldn’t rule out some of the other ones. Thirty years ago if I said people won’t read newspapers on paper in 2017, people would have thought I was crazy. Everything seems unimaginable until it become inevitable. We have to go into this with our eyes open. For much of baseball’s history there were years when guys like Lefty Grove and Jimmie Foxx made more money barnstorming than playing for the Philadelphia Athletics. So the idea that we could go back to something like that can’t be ruled out entirely. If baseball catches on in China, that would change everything. That is not unimaginable, particularly given the efforts of MLB to generate interest in China. Is the quality of baseball as good as it was in the past? We are at prime baseball right now in terms of quality. It may not be the most interesting or exciting baseball because what we have found in the last 15-20 years is that baseball strategy—the heavy reliance on using a deep bullpen (which leads to less offense in the late innings) and offense that is based around power and walks (rather than stringing hits together)—isn’t the most exciting for the fan. But the quality of play has never been better. Go back and watch a game from the 1960s or ’70s; the game itself is exciting, especially if you are old enough to remember the players, but the athleticism doesn’t compare. Watch game seven of the 1960 World Series; most plate appearances took three or fewer pitches and the hitters don’t look very good, except for Mickey Mantle, who looks like a guy who could be a star today because his mechanics were—by the standards of the twenty-first century—excellent. The last thing is that for most of baseball history … if you were watching a game in, say, 1938 that did not involve the Yankees, you were watching a pretty low quality game. Who was playing? White people from America; there were no dark-skinned Latinos, no Asians, and no African-Americans. Amid that population of white people, many [from the west coast] decided they could make more money playing for the Los Angeles Angels or San Francisco Seals than they could for the Boston Braves. Or they worked in a factory in Dallas and could play on a semi-pro team and make just as much money, so [the American League and National League] didn’t draw the best players. I am always struck by how this is news to older fans that harken back to sepia-toned glory days. 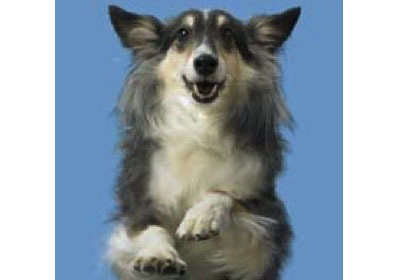 Dogged Pursuit—Meet Dusty, the world’s least likely agility dog.